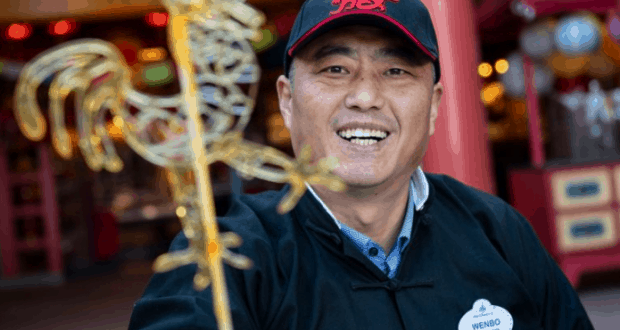 He has come all the way from Henan Province in China to perform exclusively at this year’s Epcot International Festival of the Arts. 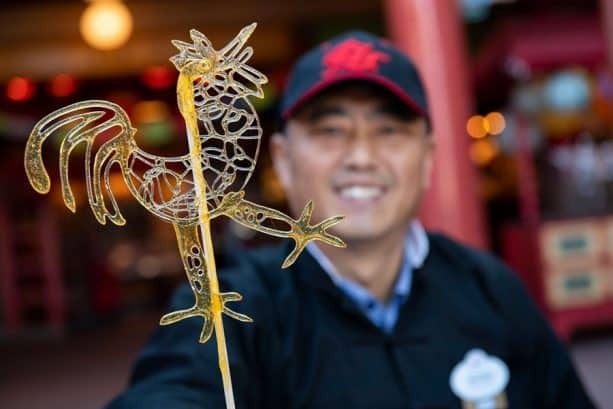 Chef Zhang is skilled in the traditional Chinese edible folk art of Sugar Painting and handcrafting Dragon’s Beard Candy. Both of these sugar arts date back thousands of years, with the expertise being passed down through apprenticeships from generation to generation. Crafting Dragon’s Beard Candy is a tedious and extensive process where small batches of corn syrup are boiled, cooled, then carefully and slowly stretched creating hundreds of thin threads. 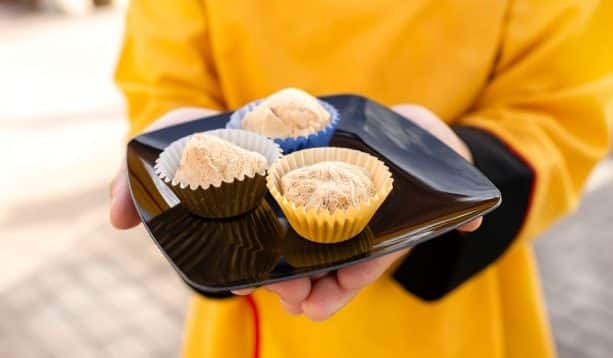 The threads are then wrapped around various fillings such as coconut shavings, sesame seeds, chocolate or, as Chef Zhang will be doing for the Festival, crushed peanuts and walnuts. 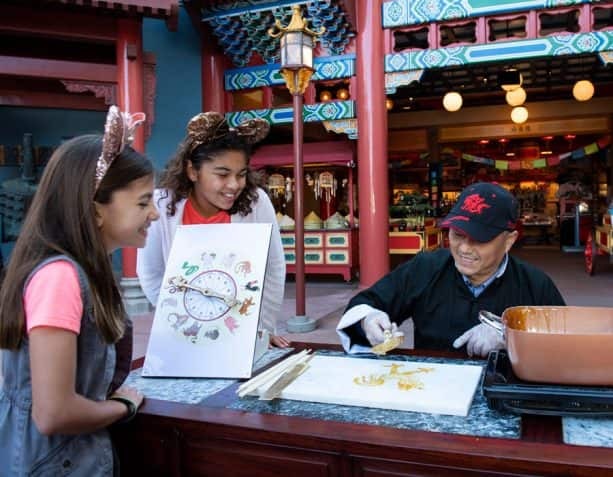 Chef Zhang will be doing demonstrations on select days throughout the Epcot International Festival of the Arts at the China pavilion. The Dragon’s Beard candy is crafted in small batches by Chef Zhang so quantities will be limited. Due to the time-consuming preparation needed for these unique candies, the demonstrations will be on alternating dates. Be sure to check your Festival Times Guide for performance times when you can check out his amazing culinary art. What do you think of Chef Wenbo Zhang’s work?